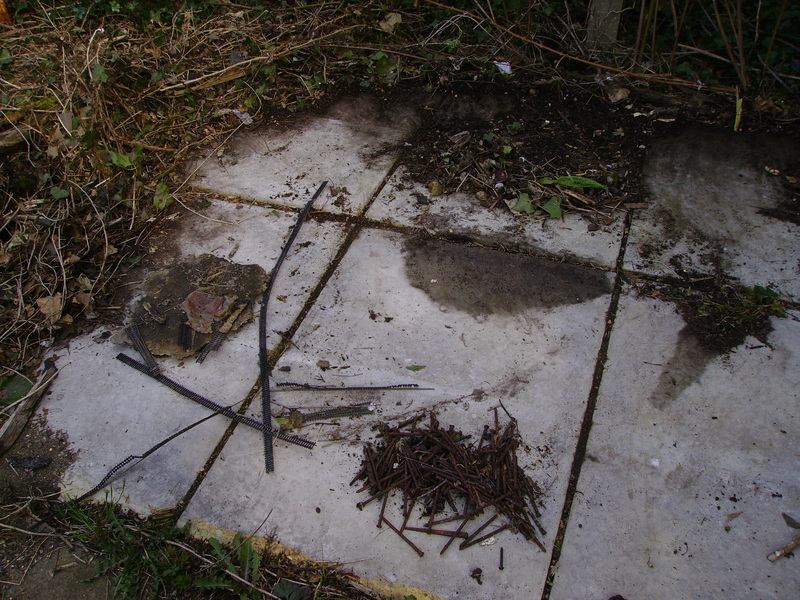 Gray Road, April 2015, found artefacts on the slabs of the foundations of the ruined shed. 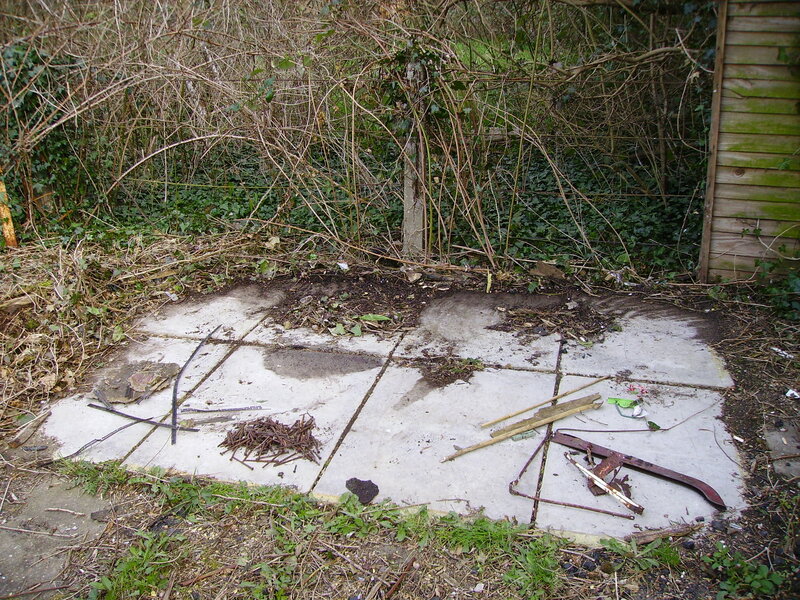 Various pieces of ironwork, including 200 rusted three inch nails and model railway track. Gray Road, April 2015. 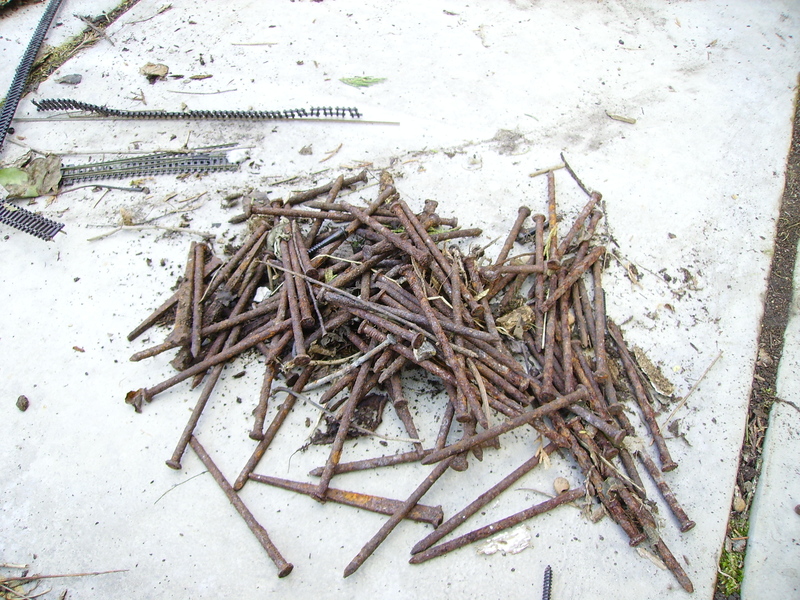 Nails and model railway track up close.